To see the lost saved, the bound set free and everyday believers equipped to share their freedom in Christ. To proclaim the gospel and equip believers for ministry. Preaching events that are evangelistic. Consulting/partnering with congregational/institutional (Bible schools) leadership , and working in conjunction with Church leaders in the context of ministry events to problem solve issues that are spiritual in nature. We are Trinitarian in our theology according to the Confessions of the early Church as laid out in the Apostles and Nicene Creeds. These creeds speak of the central and literal truths of the Christian faith as they are revealed in the Holy Bible. We uphold the Holy Bible as the complete and true Word of God for us today. We believe the daily Christian walk to be an ongoing and dynamic encounter with the living God. We believe that all Christians are called to minister in the power of the Holy Spirit and in support of one another. We believe that a developing prayer life, an active faith community, regular study and application of God's Word to daily life are key to the development of faith and character in any believer. We believe that the call to serve the larger body of Christ is central to our ministry. We seek to meet the needs and enhance the ministries of the local and global Church as it reaches out to a lost world. Rev. Boyd Hopkins M.Div. is the founder of Spoken Word Ministries Association and Hopkins Ministries International. 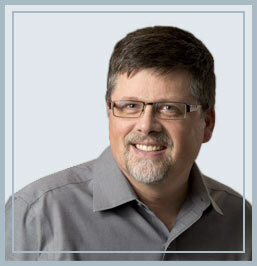 Boyd is an ordained minister with 20-plus years of experience in congregational and para-church ministries as a pastor, international speaker, researcher, and writer. He works both in North America and in the third world, preaching evangelistically as well as writing and teaching in regard to equipping believers for hands-on ministry in today's context. Boyd has a heart to see the evangelism of the lost, the redemption of the fallen, and everyday believers living in the freedom and power of God. Spoken Word Ministries is a registered Canadian charity with offices in Mission, British Columbia and Saskatoon, Saskatchewan. Our American partner ministry is Hopkins Ministries International - a registered American charity with offices in Ypsilanti, Michigan, U.S.A.